Today, I have the Inelegant Cube designed by Haym Hirsh and beautifully crafted by Brian Menold at Woodwondersonline. This particular version of the puzzle was crafted using Red Louro, Yellowheart and Wenge pieces. It was $5 more than the other version, but I thought the extra pop from the yellowheart was really worth it. Once assembled, this puzzle displays beautifully on the shelf thanks to the included stand. The stand was also very helpful in the assembly process. The puzzle is comprised of 9 “L shaped” pieces which are each made from 3 identically shaped blocks. However, those 3 blocks are glued together in many different configurations so each of the 9 pieces is unique. All you have to do is combine these 9 pieces into a cube. Not an easy task. This was a very challenging puzzle for me. I haven’t worked on a puzzle like this before, so I didn’t have much strategy going into it. A typical session would involve me randomly placing pieces onto the stand in hopes that I would magically arrive at the solution. This strategy didn’t work well and I would often give up after only a few minutes of effort. I didn’t seem to be making any progress and furthermore, I wasn’t eliminating any possibilities either. At one point, while I was working on a solution, I put two pieces together and they just seemed correct. Finally, I had something to work with and had a tiny bit of hope. This hope soon fizzled out when I fumbled the puzzle and lost track of those two pieces that seemed to fit together so well. Once again, I gave up and shelved the puzzle. I then decided to bring the puzzle to work and in between work tasks, I was able to spend a bit of time working on things. After what seemed like an eternity, I slowly started to work out a strategy. There were a few key factors that started to help me push towards a solution. The first was that all the sides had to be level. This seems obvious now, but for some reason it took me a while to realize this. Accordingly, if the sides had to be level, then any configuration where sides aren’t level can be thrown out. The second factor is that the wood types do not have to alternate. For a long time I assumed that two pieces of the same wood type couldn’t sit next to each other, but eventually I determined that this was false. The third factor was using the base as a guide to how much overhang the pieces required. The puzzle doesn’t fit perfectly on the base, rather it has a slight overhang, thus if any configurations produced a larger or smaller overhang, I knew they were not correct. A nearly completed cube. By keeping the sides level or flush with each other, I was able to build the solution through trial and error. Armed with these realizations, I began a more methodical process of trial and error. I soon had one side of the cube completed in what I thought was the correct configuration. With one side complete, it was just a matter of time to correctly place the remaining blocks. However, as it turns out, I did not have the first side correct and so my trial and error process eventually ended with no solution and no remaining combinations to try. Failure again! Back to the drawing board I went. I re-examined my “correct side” and discovered that there were a couple of pieces that I could swap out which then led to additional combinations to attempt. Finally, after many days of work, I slid that last piece in and the puzzle was correctly assembled. Wow. What a fun puzzle to complete! It’s so satisfying to finally solve this puzzle! This puzzle was a major challenge for me. I didn’t have much experience to draw from and thus didn’t have much of a strategy to start. I felt rather helpless in my first handful of attempts and it wasn’t until those first 2 pieces fit together that I felt a glimmer of hope. In the end, it was the process of elimination that allowed me to find the solution. I really enjoyed this puzzle and despite its’ name, I found it to be quite elegant. This week, I have Six Face – designed by Andrew Crowell and crafted by Brian Menold over at Wood Wonders. I’m very happy to have picked this up as it looks very similar to Six Rings, which was awesome, so I’m hoping this one is just as fun. First off, this puzzle is an absolute beauty. There were 3 different wood combinations available when these were first listed and I quickly ordered the East Indian Rosewood, Ebarria and Koa variety and I am more than pleased with how it looks in person. Not only does this puzzle look great, but the fit and finish are spot on and it is a joy to manipulate. The initial move is well hidden and it takes a lot of experimental pushing and pulling on various pieces to find it. When I finally found it, I was a bit shocked. 3 little moves and a big ole chunk of the puzzle comes right out! Usually, there is a lot more manipulating necessary to release that first piece, but not with this design. The first big chunk has been removed. It gets harder from here. Also interesting is the fact that soon after that first chunk is removed, I have 3 separate smaller pieces to manipulate. They are seemingly trapped as I can’t remove them, but they do have some limited movement, back and forth, up and down. I play with these movements for a while and soon realize that there must be more going on. So, I try a couple of new things and discover that 2 of these pieces can sort of do-si-so around each other which allows the 3rd piece to move to a new location. All this then allows a big chunk to slide up and one of the smaller pieces can then be removed. Its quite a sequence to get this far and these are very cool and clever movements that feel unique and exciting. I’m not sure how Andrew does it, but all his puzzles seem to have this same quality to them. The next set of moves took me a while to figure out. There are now 2 “free” smaller pieces that can move within the puzzle and there’s the bigger chunk that can still move up and down, but for the life of me, I couldn’t figure out how to unlock any of them. I discovered that one of the pieces could be rotated, but that didn’t seem to help much. Eventually, I had my epiphany and figured out a delightful sequence of 8 moves with one rotation that allowed one of the smaller pieces to be removed. Once again these clever movements had me smiling to myself in astonishment! With only 3 pieces left it should have been easy at this point, but I was overthinking things and struggled for a bit to remove that final tiny piece. It was actually a lot more straightforward than I was making it out to be and once I took a closer look at the puzzle, I was able to pull that final tiny piece out. At this point all that was left was two intertwined “bigger” chunks and they come apart easily – though it does involve another rotation and is wonderfully marvelous how they fit together. All the pieces have been disassembled. Beautiful wood and an excellent design. This puzzle has the same joy of discovery as 6 rings did. There’s something magical about holding a puzzle for the first time – knowing that it can be unlocked with knowledge – and knowing that with enough persistence, I can gain that knowledge. For me it’s like holding an unread book. There is excitement and anticipation and a crackling of energy in the air and this puzzle did not disapoint. Some puzzles excite me and some feel tedious. I suppose I like Andrew’s puzzles because I can solve them, yet they provide a good amount of challenge. They are never frustrating and when I finally figure out the moves, I greatly enjoy basking in the dreamy glow of accomplishment. Overall, a great design, fantastic craftsmanship and joyous moves make this one of my favorites. Today, I visit giganTIC designed by Andrew Crowell and wonderfully crafted by Brian Manold over at Wood Wonders Online. I have bought a number of puzzles from Brian recently, but most of them remain unsolved including Perfect 11, I&i, Jitter Soma and Inelegant Cube. Hopefully, I’ll have time in the next few weeks to get to those. But, in the meantime, I have spent the last couple of nights getting to know giganTIC. This is a fantastic puzzle. Despite it’s name, its a little smaller than a typical 4×4 cube. But perhaps it’s the number of moves required that encouraged its name. At 10.10, this is a moderately difficult puzzle that is extremely fun to explore and understand. The puzzle itself is incredibly beautiful. The selection of exotic woods really makes this one special. I have spent a lot of time holding the individual pieces are marveling at the wood grains. Two pieces in particular are especially nice – the lacewood section with its very conspicuous flecking and the dark brown wood that contains streaks of light brown (sorry don’t know the name of this wood!). Solving this puzzle is a joy. As with most of these Crowell design TICs, the first move is fairly well hidden and requires pushing and pulling pieces as you spin the cube around. Eventually, the first move is found and soon thereafter is the first rotation. 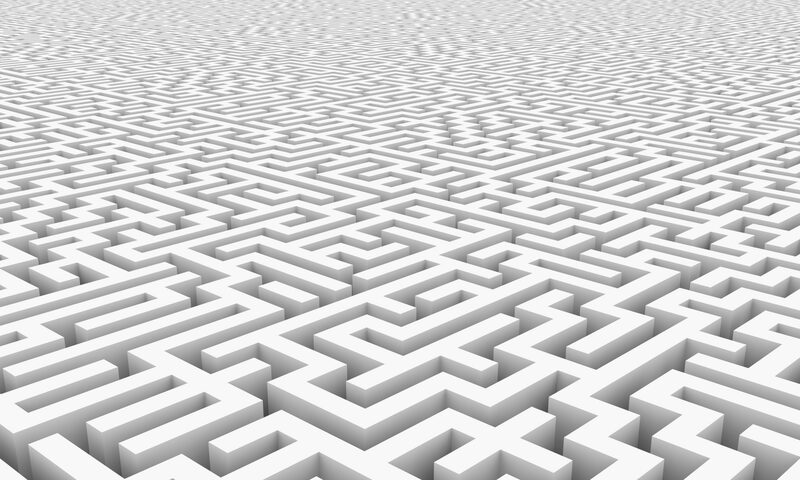 There are a couple of dead ends possibilities, but the path to the solution is mostly straightforward. The first piece has moved which starts to unlock the mysteries contained within. I spent bit of time wandering in circles somewhere around the 7-8th move. I couldn’t quite figure out what was next. It was then that I re-read the description and saw that this was a 10.10 solution puzzle. This narrowed down my options as I knew that the 10th move had to remove a piece. On a side note – I wonder if puzzles descriptions should include the number of moves required to solve it. Isn’t it a bit of a spoiler to know ahead of time how many moves are required? I often use this information as another clue to help me solve the puzzle, but I wonder if I am robing myself of some of experience by utilizing this knowledge? If I didn’t know that this was a 10.10 puzzle, how would that have changed the experience? The first piece has been removed from the puzzle, only 10 more moves to go! Anyway, back to the puzzle – After the first pieces is removed, I was again stuck. I continued to cycle through all the known moves – I would return the puzzle back to the start – minus the one piece, and then would work forward again to the spot where I removed the piece and would hit the dead end. There didn’t seem to be any other options. But then, like any decent puzzler, I forced myself to try other options and soon enough found a new path forward. The new path quickly revealed the answer and with a final rotation, the puzzle separated into two halves. Wow, this thing is really cool! Puzzle has been disassembled! The wood used in this puzzle is just beautiful. Overall, The puzzle is kind of split into two separate sets of movement. The first 10 moves remove a cornerstone piece and then the next 10 moves separates the puzzle into two halves and the rest is trivial from there. The moves are really quite unique though, with a number or rotations mixed in as well as other hidden moves that are exciting to find. It’s hard to imagine that so many mysteries could be hidden in 64 voxel cube. It seems like there should be a finite amount of interesting puzzling options – and I’m sure there are, but to my mind, there are many more options than would seem possible. Andrew seems to have a knack for designing these really creative puzzles that are full of unique and interesting moves. Each step along the way is delightful and satisfying and I can’t wait for more.